If you want to ensure best customer satisfaction is delivered through your helpdesk, it is essential to make sure that you are backed up with the correct service level agreement. When you have the right service level agreement, you will also be able to provide unrestricted service to your customers at all times. This guide will provide you with all the information that you need to know about helpdesk service level agreements. If you don’t have a clear understanding on the helpdesk service level agreements or if you are looking forward to providing a better solution through service level agreements, you are strongly encouraged to pay special attention towards the points that we discuss over here. To begin with, let’s understand what a service level agreement is. A service level agreement can simply be defined as a written commitment, which is signed in between a service provider and a client or a customer. The terms and conditions mentioned in the service level agreement can include general requirements as well as specific conditions, which can determine the particular aspects of service offered. They include responsibilities, availability, and quality. Both the buyer as well as they agree to these aspects of service so that they can move forward without any hassle. Hence, it is identified as a fundamental reference point, where both parties can take a look at, to make sure that the agreed service is offered. The service level agreements can be divided into two main categories as customer-based service level agreements and service-based service level agreements. In both these types of service level agreements, the service provider agrees to provide the exact service to the customer as agreed. Or else, the service provider will have to pay for it. When it comes to Call Centers, the telephony benchmarks are often added to the service center agreements. Out of them, one of the most common metrics is the number of calls answered within a defined time frame, out of all the calls that are received. In general, the 80/20 rule is being maintained in the industry. This represents that more than 80% of the received calls are answered within 20 seconds. Based on this, it is also essential to take a look at the other important aspects, such as average speed of answer and abandon rate. The global average speed of response is 28 seconds. On the other hand, the global average abandon rate is around 5% to 8%. The service level agreement clearly defines that criteria out of these have to be met. If you are a service provider, it is vital for you to make sure that these criteria are met when offering the service. It would help if you were reasonable at all times. In case if you don’t have the appropriate infrastructure, staff, technology, and infrastructure, you should never commit to a service level. This will lead to disappointed customers. In case if you fail to meet the criteria that were agreed in the service level agreement, you will be forced to reimburse the client. Or else, you might even lose the entire client business, as you are breaching the contract. This can lead you towards massive financial losses. You should always research at the time of signing the service level agreement. 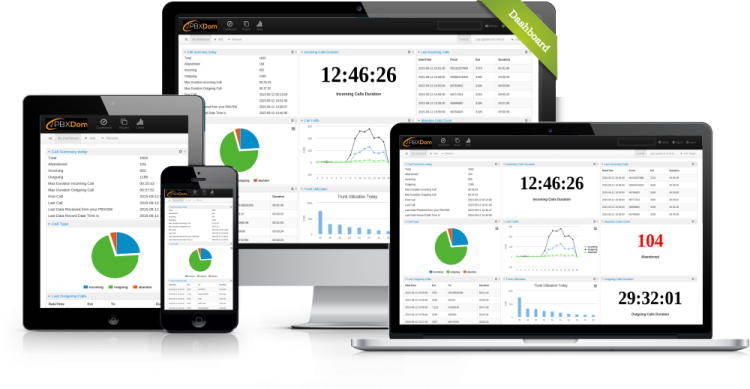 Then you will be able to get a clear understanding of the bandwidth of the call center. Then you need to come up with an appropriate service level agreement, which your team can offer. It would be best if you considered the worst-case scenarios when defining the SLA. This requires a lot of time. Also, you will have to follow a trial and error approach or consult experts. The time, effort and money you spend on this would be worth when compared to the positive returns that you can receive in the long run. How to create a winning service level agreement? Now you have a basic understanding of what a service level agreement is. With that in mind, you should also understand how you can come up with a winning service level agreement. To begin with, you need to make sure that you manage all expectations when certain SLA. If you cannot provide a specific service to a customer, you should never promise it at the time of creating the SLA. If you ignore this fact, there is a high possibility for you to experience a variety of negative consequences in the long run. You should also take a look at the industry standards, such as the 80/20 rule when you are defining the service level agreement. Then you will be able to provide a reasonable service through your call center and make sure that you cater the expected call volume. You will need to do ongoing research to keep up with the service that you have agreed. Also, you will have to focus a lot on analysis and testing as well. It would help if you kept all these things in your mind when you are creating the service level agreement to avoid the hassle. The next thing you should do when creating a service level agreement is to take a look at your priorities. All the businesses that use call centers have their own goals. Therefore, you need to consider what your goals are, before you go ahead and define the SLA. Most of the companies tend to pay special attention to customer satisfaction than anything else. On the other hand, you can also focus on reducing the abandon rates. You need to make sure that the service level agreement that you have defined is in a position to contribute a lot towards the positive progression of your business in the long run. You should also consider the clients at the time of defining a service level agreement. You are running a business, and you know that achieving your business targets is essential. However, you should also take appropriate steps to balance it along with customer satisfaction. Otherwise, you will not be able to survive in the industry for a long period. You can take a look at the following questions and see how you are going to tackle than at the time of creating a winning service level agreement. 1-How are you going to prioritize the waiting time of the customers? 2-In how many seconds the abandon rates tend to increase, while your customers are waiting in the queue? 3-What is the negative impact created on your business, due to the increased abandon rates? When you find answers to these questions, you will see it as an easy task to come up with an effective service level agreement. Last but not least, you need to take a look at the contact center. Human resources play a significant role here. They are the ones who drive your call center forward. Therefore, you must ask yourself whether you have got enough agents to place in the call center and cater to the demand. You should also pay attention to their workload so that they will be able to manage the assigned responsibilities in a productive manner. It would help if you never ignored the people, who work hard behind the promise. They can heavily contribute to the level of service that you offer. Once you have defined the service level agreement, the next thing you have to do is to go ahead and perform it. It would be best if you did this based on the analytics that you have gathered. You will have to focus on reassigning the call center agents so that you can decrease or increase the staffing levels. On the other hand, you will have to provide cross-training to make them ready to handle the calls and incoming volumes. You must also make sure that you are backed up with contingency plans so that you can make sure that you adhere to the service that you promised in the service level agreement at all times. Now you have come to the final stage, where you measure the success of the service level agreement. You need to make sure that you measure the success regularly so that the other party is not disappointed with the service offered. You need to make sure that you are maintaining the call abandon rate between 4% and 8% at all times. Always try your best to take it under 4% as well. You will need to continuously measure the analytics and insights to make sure that the SLA and its terms are being met. Then you will be able to ensure maximum satisfaction through the agreement at all times. This can also help you to take your business to the next level by providing outstanding service. 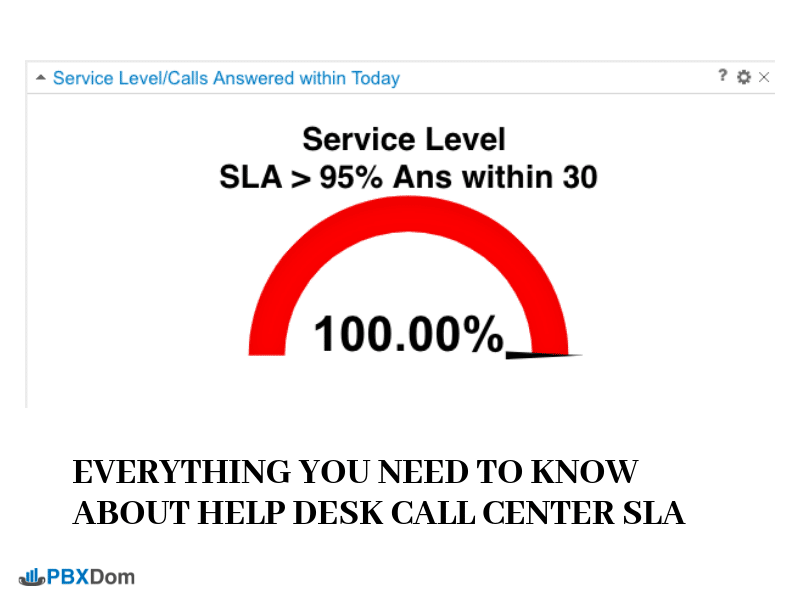 Are you ready to measure your Help Desk SLA?